Good, old-fashioned customer service is Joyce Clarke’s specialty. With over twenty-five years of customer service experience, achieving the best results for her clients is what Joyce does best. Real estate is Joyce’s only business, she uses the newest tools and technology to market properties to make certain that they stand out. Joyce knows the value of customer relations, communication, trust and competency. She is dedicated to the development of long term client relationships. As well as keeping a daily close eye on the market and will keep you informed when it affects you. Whether you’re buying or selling, let Joyce’s professional experience help you meet your real estate needs in a prompt and efficient way. Whether you’re buying or selling, Joyce knows it’s all about YOU and your real estate needs. With Joyce, your best interest always comes first in each transaction so you can be assured that she will listen to your needs and work with you to get you the finest value. December 02, 2015 We are very grateful to Joyce for helping us purchase our first (and hopefully forever) house! She was committed to finding us a home that fit our specific objective requirements (neighbourhood, size, price) but also those intangible qualities (character, style) that are just as important when choosing a home. She was very patient with us until we were ready to make a decision, and then very efficient in helping us negotiate, inspect, close, and move in within just a couple of short weeks. Thank you Joyce! During the Christmas holiday with our relatives in Dartmouth, we impulsively decided to move to Nova Scotia from British Columbia. Joyce Clarke responded matter‐of‐factly to our telephone query and quickly engagedus in a thorough search for properties. Joyce realized that time was of the “essence” yet she valued our comments and selected only homes in the area that would attract us. She kept to our “tastes” and within our budget. We were hugely impressed with Joyce’s manner and were confident that she would find us a perfect home. And within two days, she did! During the period of our conditional offer, Joyce led us through the insurance and other details with efficiency. Joyce referred us to other professionals ‐ they also responded with integrity and solid performance. Joyce orchestrated our business with good humor – excellent service “above and beyond”. Through the waiting period before possession, Joyce kept contact and our relationship grew into a trusting friendship. She met us for the final inspection and walked us through the house closing. All through that day, it was obvious that she was making certain that our business was processed smoothly. We feel tremendous gratitude towards Joyce – and our family does as well. We’ll keep in contact with her – and most definitely recommend Joyce Clarke as our real estate professional “of choice”. Joyce Clarke has done an excellent job in helping me put my house on the market, advising me on what is best price to me and to the market, informing me of the market activities, and most important of all, on the day of receiving an offer, she stood by me in negotiating with the opposing agent and her clients. Joyce Clarke presented herself in a professional manner, knowledgeable and considerate of my needs. Thank you for your hard work, dedication and guidance through the negotiations of successfully selling my home. 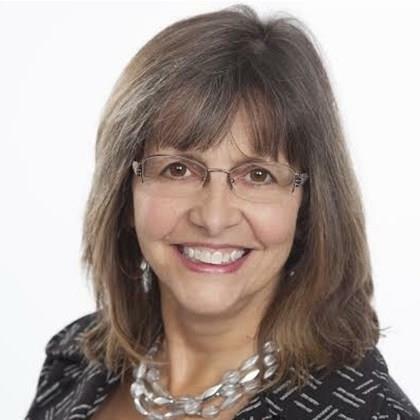 I am very pleased to recommend Joyce Clarke without hesitation, to anyone looking for a sincere, trustworthy, dependable and very experience real estate agent with a very remarkable personality. I want to thank you and sincerely I wish you all the success in the future.